A few of my favorite things & a sneaky sneak peek. Hello all! Hope you had a great week. I obviously don’t even know what day of the week it is since I woke up & posted a throwback thursday pic to start off my Friday. Go me! Anywho – this week was full of some favorites of mine so todayyy I’m going to share those! My good friend & talented Photographer Emily from Emily Rose Photography met up with me early Wednesday morning to get some new shots for the upcoming launch! 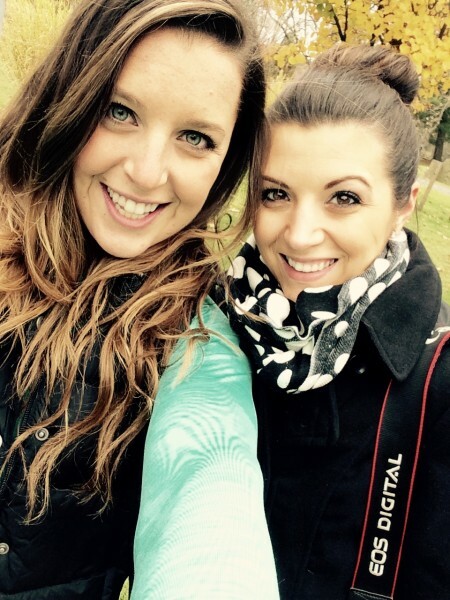 Favorite #1: photo shoots! I love being true to myself and having someone capture me in my element. It’s a truly amazing feeling. 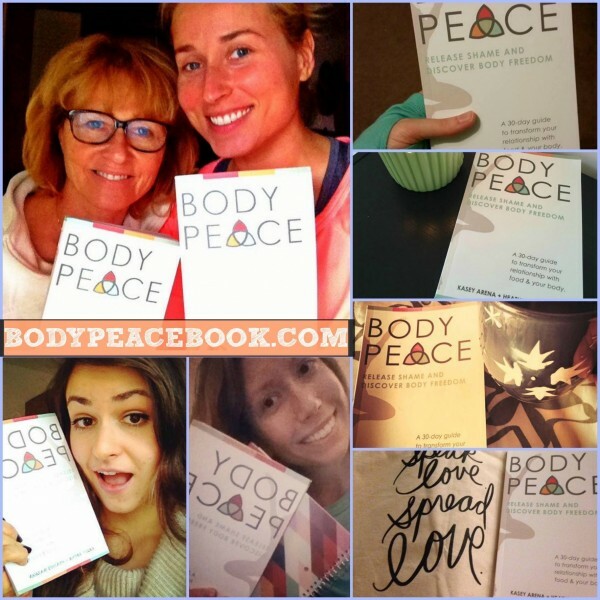 Favorite #2: Seeing all of your BODYpeace love!!!! Do you realize how pumped this makes Heather & I? The BODYpeace facebook group already has stories shared from Women who are starting their own journeys and it’s beautiful! 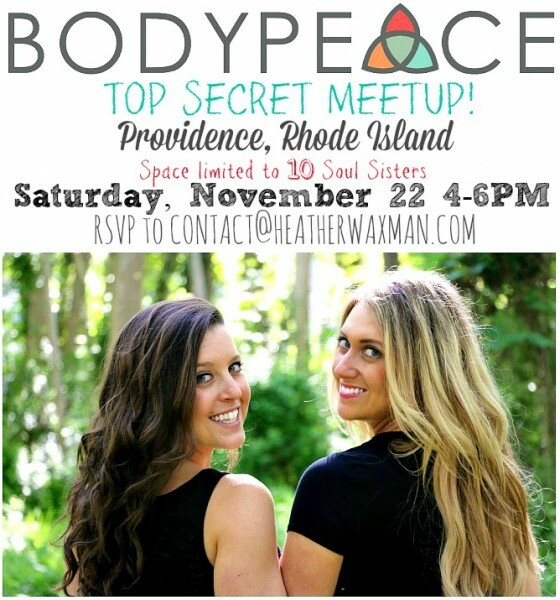 If you’re in the Providence area we have spots open for a TOP SECRET #BODYpeace meet up! Contact Heather & @contact@heatherwaxman.com to RSVP for next Saturday, the 22nd from 4-6pm! Favorite #3: Sunflower seed butterrrrr. My gosh, it’s good. This was organic greek yogurt mixed with cinnamon topped with bananas and Once Again sunflower seed butter. 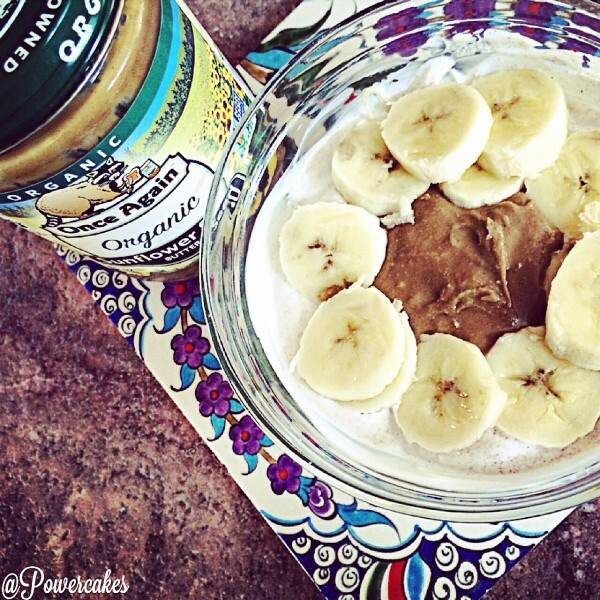 Perfect combo of fats, carbs, and protein before a workout! 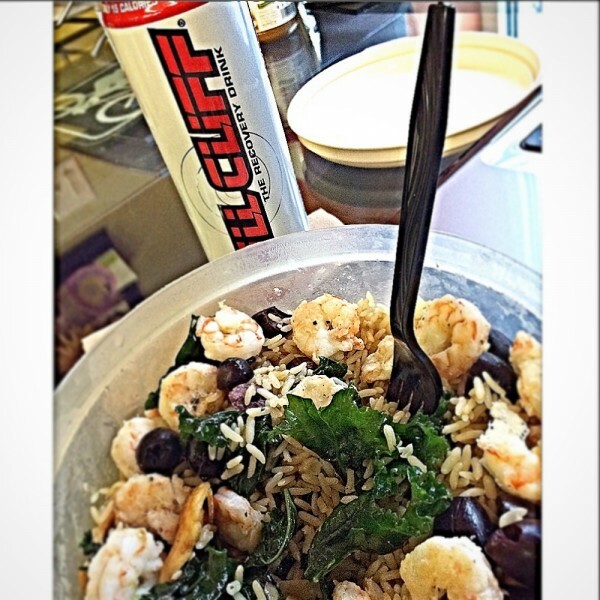 Favorite #4: A delish shrimp dinner with a side of KILL CLIFF! One of my favorite drinks ever and sweetened with stevia for an extra bonus. I love me some carbonation and Kill Cliff is a great drink post workout. Favorite #5: Trying new things! My clients inspire me every day to try new things. Why? Because they all enjoy different types of fitness. I like to tailor training programs to clients interests, which in turn, helps me think outside the box and try new things! The great people at Supreme Pilates Pro sent me their new at home system – wow, thank youuuu to them! 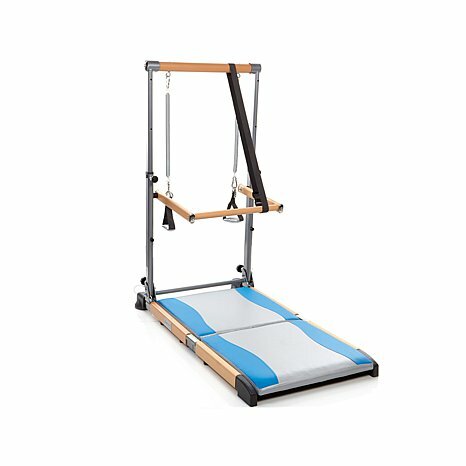 Once I get some more quality time with this Supreme Pilates Pro – I will post a full review on it. To me, it’s always great to try new things & be able to have all different types of equipment and ideas for clients to use! Favorite #6: Being a guest judge at this weekend’s first ever, JUICE FEST! My friend Trenton from Organically Social is hosting the first ever Pittsburgh Juice Fest! I will be a guest judge among many other awesome Pittsburgh peeps. 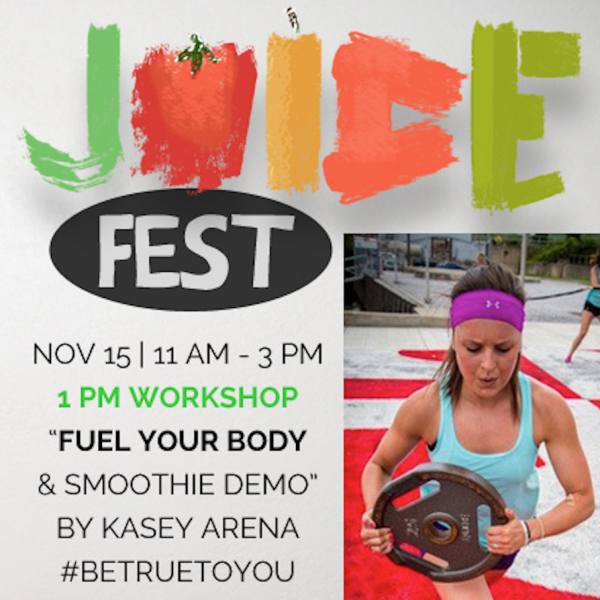 I’ll also being doing a Fuel Your Body smoothie demo at 1pm! Tickets are here. Favorite #7: Listening to my body & enjoying food. This was delicious and a perfect end to a lovely long day. 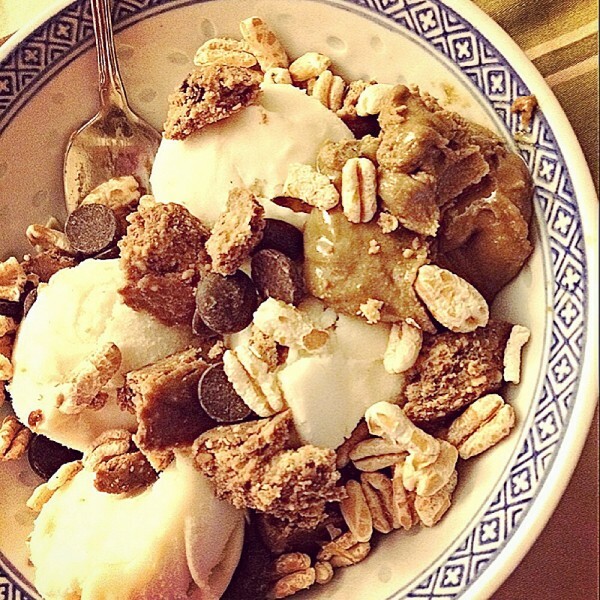 I forgot I had maple vanilla @arcticzero in the freezer so that happened topped with sunflower seed butter, a carob chip @perfectbar, dark chocolate chips, & extra (not all pictured) kamut (wheat) puffs. Before my #BODYpeace journey – something like this wouldn’t have happened. I had rules in my head I followed as to what I “could” and “could not” eat, especially before bed. Now, I nourish my body with a variety & all the greens daily BUT also allow (key word) myself to enjoy foods I truly want to enjoy – in a moderation that works for me. It’s key to find what works for YOU. I’m off to meet Mamacakes to get some organizing bins to organize my room ;] It needs done, bad. Then off to train some clients! Favorite #2 – Getting a massage! Something I need to do soon. Favorite #3 – Getting together with friends and having a great time. Something everyone needs to do on a frequent basis no matter how busy you are.